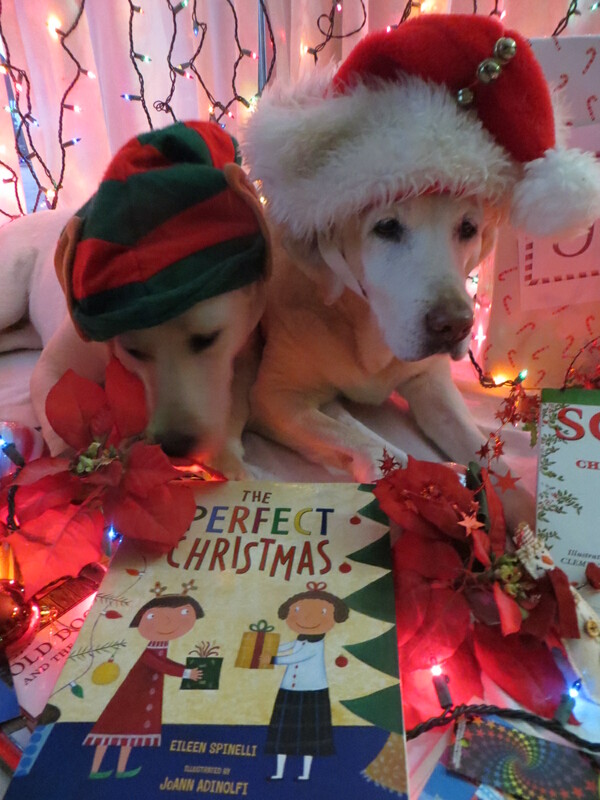 This entry was posted in children's books, Christmas, friendship, PPBF, reading dogs and tagged Christmas, Eileen Spinelli, family, JoAnn Adinolfi, PPBF, reading dogs, Susanna Hill, traditions by readingwithrhythm. Bookmark the permalink. Thanks Ms Dina! Where do you spend Christmas? In the snow or on the beach? 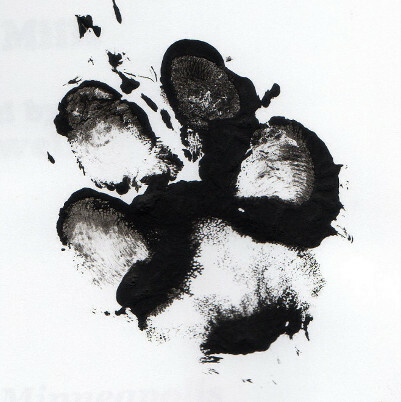 The Picture of the Pups is Perfect! My perfect Christmas, is, apart from the things that go with it, like e.g. a nativity scene and a Christmas tree, being with family and friends, and that includes my virtual friends on the internet, friends like you, Rhythm. Presents are fine, too, but they’re not at all necessary for a perfect Christmas. I LOVE the doggie “Joy”! We make edible ornaments, for the birds, and hang them on the pine trees in our yard (giant pretzels, lard, and birdseed, hung with eco-friendly twine that the birds can use for their spring nests). Wishing you a perfectly crazy and joyous Christmas! What a great idea! I will have to try that next year! It is very easy, with minimal mess. I just spread the lard (yuck) or peanut butter (yum) on the pretzel and roll it onto the seeds I have spread out on a cookie sheet. Sometimes, it is even warm enough to assemble them outside-not this year though! Those are easy! I will have happy birds next year. Another cute book from Eileen Spinelli. You must be a fan. I haven’t read this one, but I like the contrasts you mention. Now that my children are adults, we don’t have so many traditions. Except new PJs and crazy slippers on New Year’s eve. Used to make Gingerbread houses with my daughter and her friends. Now the focus is more on picking onecharity that all family members making a contribution to — like TAPS, Wounded Warriors, Girls Education Collaboration (our niece created in Africa) etc. Perfect post, Rhythm! I would stand too but I’m in my car. That is awesome of Ms. Spinelli! This would go really well with Moosletoe about perfect Christmas. Smiled at you being happy janitor. We go to church even Phil at Christmas too. Turkey dinner and friends over on boxing day. Lots of family visiting in summer.Happy Christmas! That sounds like fun! I might stat that tradition here. I wish lots of joy to you and your family, too, R. My Christmas is less Martha Stewart Perfect and more our own kind of perfect. But perfect nevertheless. People who send free books are just the best! Sounds like a good book. So, is Martha Stewart still considered practically perfect in every way after….you know…the “unpleasantness”? Does she still do her thing like she did before? We’ve never seen much of her over here. Those bickies look awesome. My fleshling is bakingly challenged when it comes to bickie cutters. They look the right shape on the tray but when they come out of the oven they end up as just big bickie blobs. Oh well. They taste just as good. Bickies are biscuits. I’m making a conscious effort to always say biscuits. Cookies is creeping in over here which annoys me to no end. It’s alright for you lot because it’s an American word, but now many people over here have started calling biscuits cookies. So I’m clinging to older forms of our dialect. Do you know, I actually heard an adult who was born here say “soda” the other day. Outrageous! We call it soft drink. Honestly, who do they think they’re trying to impress, suddenly using American words for things when Aussie words have done perfectly well for them for decades? Silly buggers. 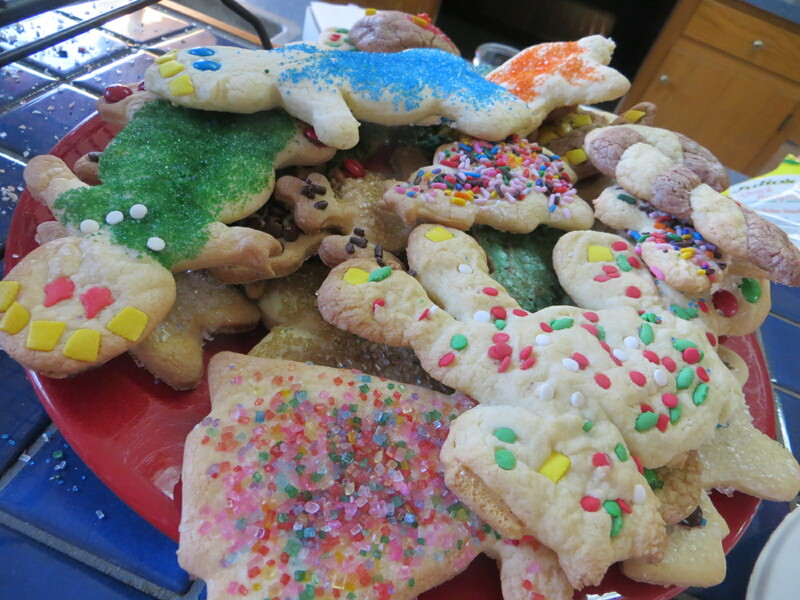 How fun to all bake cookies together! We sometimes do that as well but not every year. We do put up the creche (not sure of the English word, nativity scene… but it’s very small, fits on a table) together. And every household in our family has the same advent calendar… so the countdown to Christmas starts as a family. The book sounds, well, perfect! I do love the idea of a perfectly crazy Christmas family! This post was perfect in every way, Rhythm! I loved the book you reviewed and I thank you so much for the links to the ornament-making and cookies. We have a tradition of leaving a note for Santa, along with the cookies and carrots. And in the morning, there would be a plate of half eaten carrots and cookies and a note from Santa, thanking us. One year, when our oldest son was home from college for Christmas break, I neglected to put out the letter (thinking that all of the kids were past the age of needing/wanting that). How wrong I was! In the morning, there was a note from ‘Santa’…thanking us for the cookies and carrots and saying that he missed the letter from the Kirkfields. My son even used the curlicue handwriting I had always used for the Santa reply letter. 🙂 I guess when you put traditions in place, they give stability and a sense of safety to children, no matter how old they are. 🙂 🙂 Happy Holidays to you and yours, Rhythm. This looks perfect, too! So much perfection! Thank you for the link to the cookie recipe! I’ve been looking for a recommendation for some cookies to make with my crew! We’re looking forward to reading the book, too! It all sounds so perfect! Wishing you all cozy noses! Lovely and perfect blog post rhythm! Thanks for the recipe and your perfect garb! 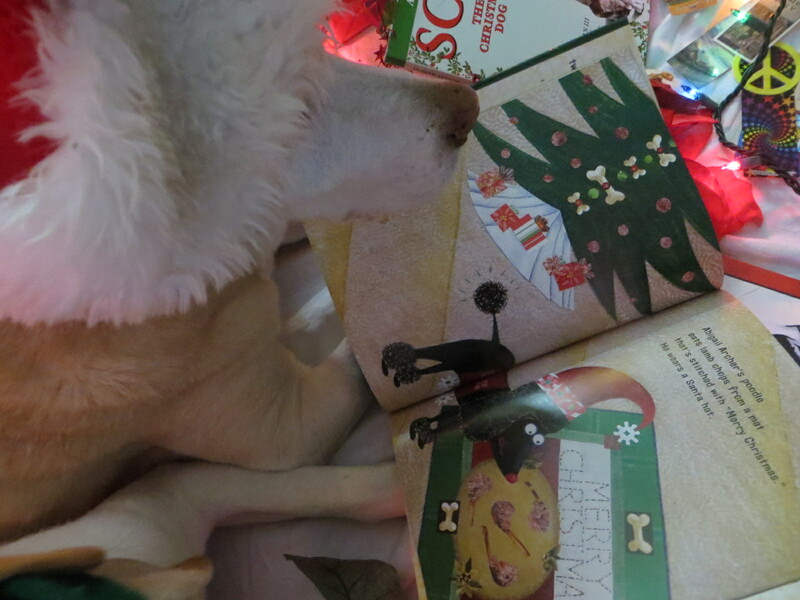 Fantastic, I need this book and the edible treats of course which look lovely! And what is your perfect Christmas like Mr J? Looks like a great book! Paul, Choppy and I are just starting our lives together, so our traditions are all new (at least, our ones together)! We do have a real tree and I am going to make some cookies this week – I may have to try the Martha Stewart recipe! Mrs. Spinelli is a great lady! Great review! That Ms Spinelli is perfect, isn’t she?! We get a big tree, but only the top half gets decorated because I used to like to take things off of it. And Walker’s tail tends to wipe out stuff hanging around. 🙂 Hope you had a fun Christmas! !